Wicklow contains outstanding and breathtaking scenery of mountains, valleys, lakes and coastlines. Not alone is it famous for outstanding vistas, it is also a highly acclaimed golfing destination with an abundance of playing opportunities for golfing travelers such as Druids Glen & Heath Golf Club, Glen of The Downs & Powerscourt Golf Course. Very comfortable relaxing break, Excellent service by bar, restaurant and reception staff. Food very good and keenly priced. A lovely two evening spent in this very pleasant clean hotel, all the staff were very helpful and cheerful. The food was very good also. Nice having breakfast made promptly to order and not sitting for ages sweating under lids. Altogether a delightful few days. We arrived at the hotel and the bar was packed and as i wanted to watch the match we started to head for the pub up the road. The barman ran after us and gave us the table right under the table that was reserved, NOW THATS SERVICE. The lady who was serving us couldnt have done more. Food was great. Rooms are spotless. All in all if you want a little relaxing night away you will not get better IMO. Very surprised it was a three star. The staff were so friendly, rooms were spotless with a coffee machine, which was a nice touch. All they needed was water in the room to bring it up to a 4 star. We would definitely come back. I have stayed in Wooden Bridge and Druids Glen a few times, and I would prefer the Park View. The staff made all the difference. Great central location for exploring all of Wicklow. Will stay again. Very nice hotel. Staff were very friendly. We got dinner in hotel both nights- one course was a little bland which staff noticed when it was not eaten they immediately apologised offered any replacement meal and gave us a free drink in ways of an apology. Room was very clean and quiet. Great spot to have as a base when sightseeing in Wicklow. We had a very enjoyable stay here,rooms spotless,couldn't complain about anything . check in was very quick.receptionist nice and friendly.room clean,but no toilet brush in it.bar staff couldnt have been more friendly,and remembered us from previous visit which was nice.all in all good visit to good hotel! 5 stars! It was a lovely Hotel we should definitely stay again. One problem was in outer room the tv didn't work so we had to change room but other than that it was great and the staff were friendly. We will be back. We have stayed in this hotel on 4 occasions and have never been disappointed. 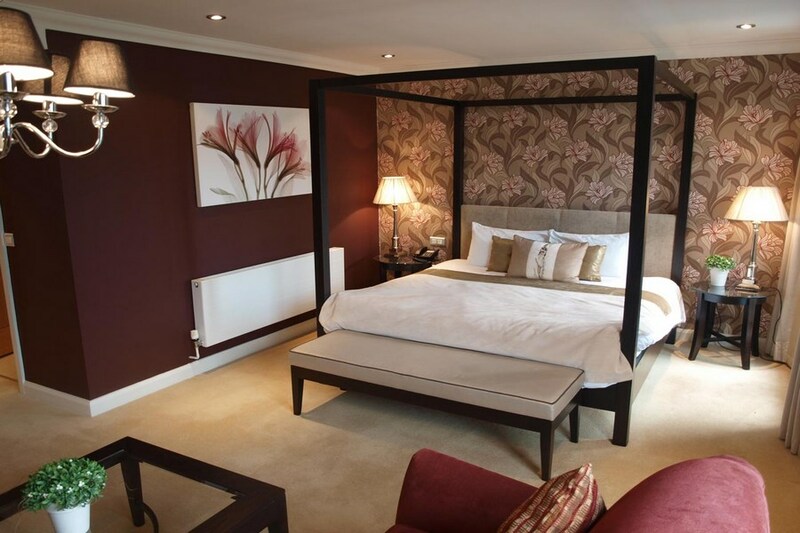 The rooms are spacious, clean and bright and much nicer than rooms in 4 star hotels we have stayed in. The food is excellent, again, at least as good as 4 star hotels we have The staff are friendly and courteous. We will definitely visit again. I found the hotel excellent, the staff were very friendly and helpful. The food was very good. Recently stayed at Parkview Hotel - on balance an excellent experience. However, on the negative side, disappointed to find we were allocated room with disabled bathroom facilities including very high toilet & large chair in the shower, this was not alluded to by reception staff - was expecting bath per advertisement. Inadvertently pulled emergency cord in bathroom next morning which elicited no response! View of car park, otherwise room nice & comfortable. On the positive side, dinner excellent, staff friendly in bar & restaurant. However, breakfast mediocre. Had a lovely stay at the Park View hotel on Sunday last. Room was lovely with a small balcony very clean and well decorated. Food and staff were excellent. Even had entertainment in the bar which was a nice surprise. Would definitely recommend. We Stayed here recently for the weekend and we found the it to be a beautiful hotel and the staff were more than helpful and very friendly. The food was excellent. We will most definitely comeback to stay in this hotel and will highly recommend it to family and friends. stayed here in last 3 years approximately 10 times have re booked already. there is nothing I can say bad about hotel staff very friendly food amazing. rooms fab clean spacious modern. views over park amazing. great hotel great location for exploring wicklow.. 100% recommend mooneys dublin. Beautiful Hotel. Staff extremely helpful. Rooms lovely. Really enjoyed our staff at your hotel. 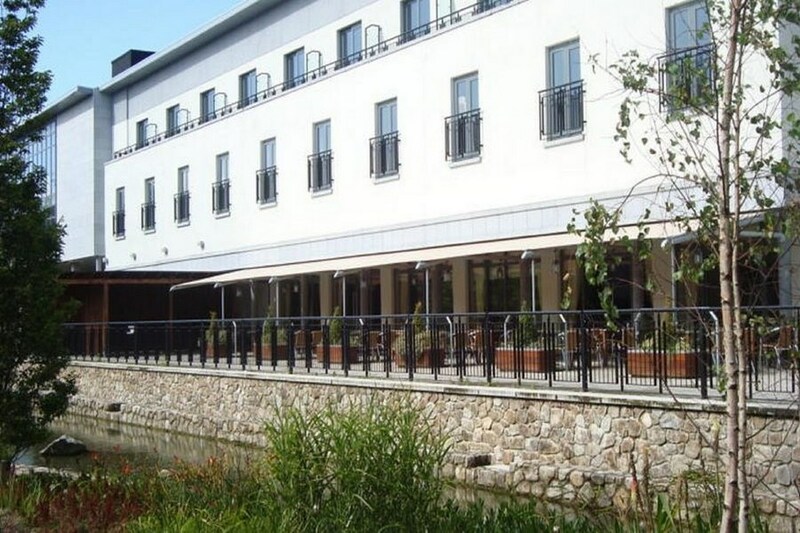 This is a lovely hotel, it is not a top end 5 star hotel but it ticks all the boxes for cleanliness, good value for money, nice food priced to suit the client but what makes this hotel stand out is the staff. From the reception desk to the bar and all the other staff encountered were courteous, friendly and helpful, as a group they were without a doubt the best hotel staff I have ever encountered on my travels. The Parkview Hotel was excellent. We booked a family room on line but I rang the hotel first to say that we had three children and they said to just put that in the comment box. On arrival we got a huge room with a double bed and three single beds. Normally we just get a double and two singles when we book a family room. The room was very spacious and very modern. Not like the old fashioned looking rooms on their website. We ate in the bar/bistro that evening. The food was delicious and really good value. Breakfast next morning was really good, fresh fruit, all the cereals, bread, croissants, pastries and of course cooked breakfast. The staff were very very friendly and efficient. I would highly recommend this hotel and I would definitely stay there again. It's a great base for exploring Wicklow. Stayed over night at Hotel, room very spacious clean and comfortable with a great bed great sleep. Breakfast great food very good will be back and ave no hesitation recommending it. Sonia Dublin. Had a lovely time in the park view.....no complaints at all......nice staff, good food....clean room...would stay again. lovely comfortable hotel, very friendly. the food in the restaurant is absolutely beautiful. would definitely recommend people to stay and eat there. will definitely be back. We stay for 1 night over the weekend the room we got was great lots of space. the bathroom was so clean and so was the room. the meal we had was very nice and the bar food was great . sevice was very good all was on the ball. would love to stay again there. Very tidy, clean hotel. Staff were a pleasure, especially manager on duty when we got there (Blonde Girl). Ate in bar (Lunch) and that night in the restaurant, great value for money, quite tasty. It's a pity they have no gym/pool, but otherwise lovely stay. Very nice room,food lovely .Could nt be better. Staff - Very Friendly and helpful Hotel - Very clean and great location Food - Excellent Would highly recommend. Nice hotel, staff very friendly and helpful. Stayed one night, bed and breakfast. Only problem very quiet on Saturday night (Bank Holiday Weekend) in bar. They should have some entertainment on in the bar. Our friends (5 couples stayed for two nights and they said it was the same on Friday night, too quiet in bar. Thank you very much I had a lovely time in your very nice comfortably hotel and the food was good too. Super room, very clean, great staff, great food . Only thing missing was entertainment. Will definetly stay again. The Parkview is a lovely hotel, very clean and inviting. The food at dinner and breakfast was of a high standard and absolutely delicious. The only complaint I would have was the lack of entertainment, some live music in the bar would have been nice! This hotel was perfect for a family occasion. While the outside of the hotel wasn't much to look at, inside, it was comfortable and modern and the evening meal was exceptionally good value for the range and quality of food. I would stay there again as a base for exploring Wicklow. Everything about this hotel was good-we really enjoyed our stay. Excellent room, fantastic staff, lovely food and very nice breakfast. Would staff again as this is a great location for other attractions in Wicklow. room excellent, breakfast good, parking excellent, staff excellent. Booked a girls night away for last weekend in the Park View Hotel. Really nice hotel, reception very helpful on checkin, Rooms were very nice and quite spacious. 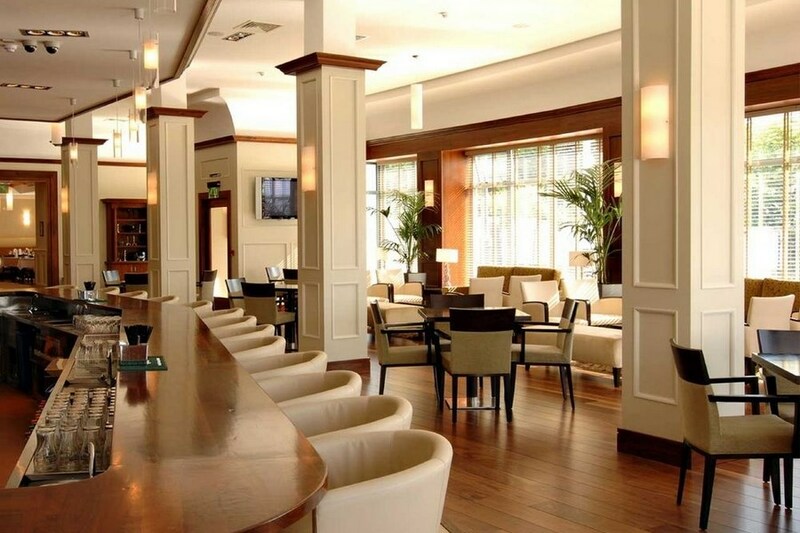 The Bar area is very comfortable and staff lovely, the bar food that was being served all around us looked and smelled delicious and we could'nt wait for our 2 course meal that was included in our package. The restaurant was lovely and again the staff very helpful. Well it was worth waiting on. Our food was delicious. Something for everyones taste. Next morning our breakfast was perfect and again something to suit everyone. The only downside was on the website it stated that checkout was 12 but on reception it stated 11, so we felt it rushed us a bit. Overall would not hesitate to stay here again. Excellent all round- good staff-good atmosphere - excellent value-well done to all! We had a lovely nights stay in the park view hotel. Hotel was really lovely (spotless clean) and staff very friendly and helpful. Food was fab at both dinner and breakfast. Would highly recommend for a nice little getaway! Will definitely be visiting again ! Beautiful hotel and superb staff.